The Royal Liver Business Park on the Naas Road has 500 car park spaces. The Prelux Hi-Tower LED was recently installed to improve light quality and cut energy bills. 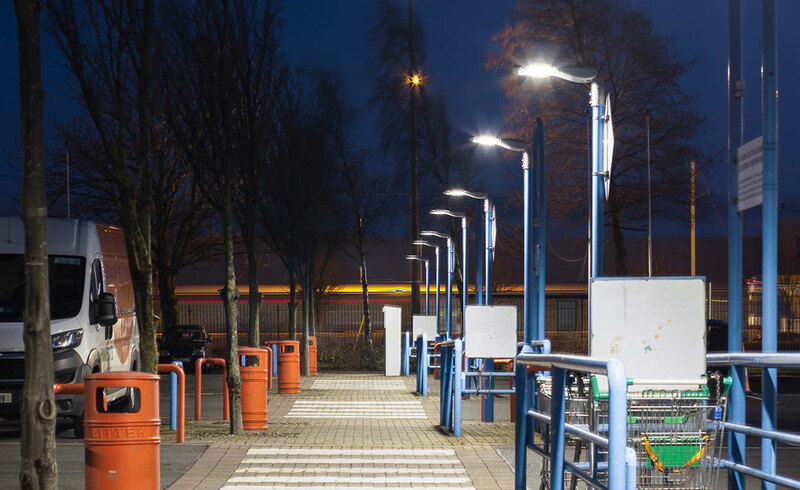 Prelux Hi-Tower provides a wide and evenly distributed light source for pedestrian areas. Hi-Tower is also a Type II Medium Road light, suitable for fast, medium and slow roads. 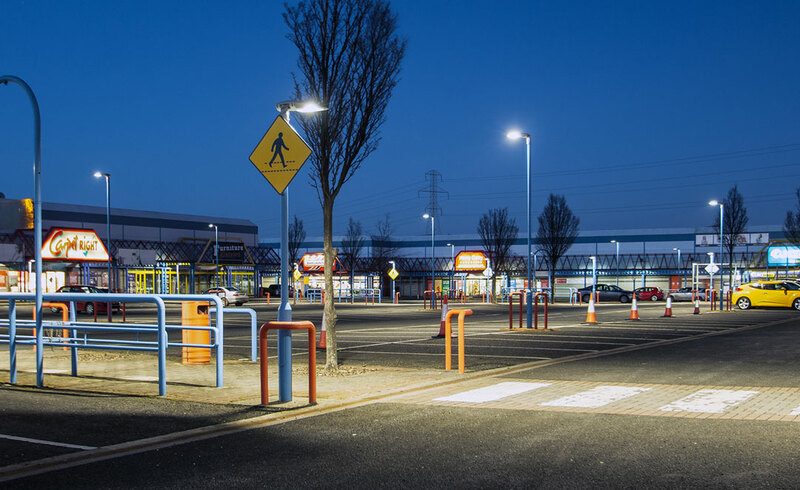 The superb Prelux Saturn Hi-Tower LED public lighting was recently installed in the Kylemore Business Park on the Naas Road, providing a highly efficient 120Lm/W and slashing the annual cost of lighting the premises. 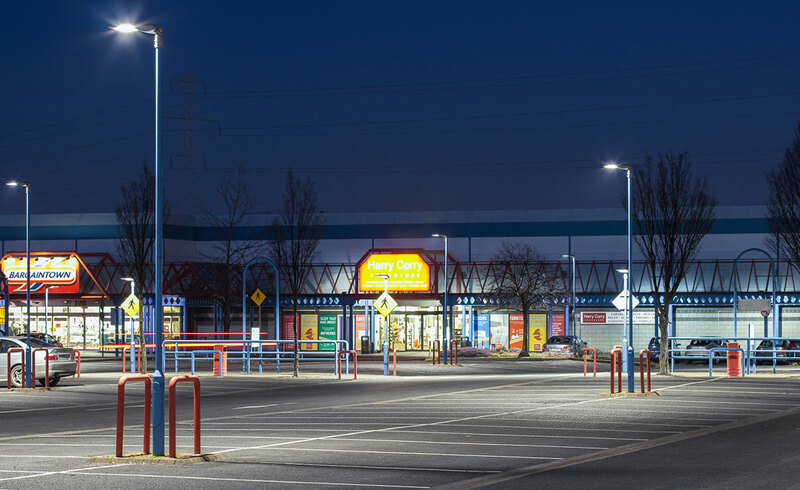 The IP66 Hi-Tower provides a wide and evenly distributed light for the 500 car parking spaces in the retail park, while the arc shaped cooling fins provide excellent thermal dissipation and greatly add to the long 50,000 hour lifetime of the LEDs. 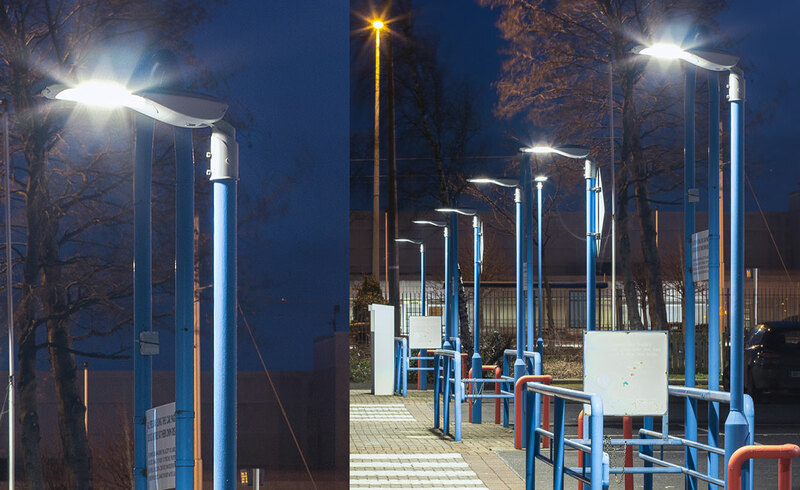 Hi-Tower is not only ideal for car parks it is also a Type II Medium LED street light which makes it suitable for main roads (fast speed), collecting roads (medium speed) and roundabouts (slow speed). With Nichia SMD LED Chips and a Meanwell driver the Hi-Tower also contains an integrated surge protection device. Call 00353 (0)1 860 1860 or email: info@ecilighting.ie for more information on the Prelux Saturn Hi-Tower lighting range.